Three days before the second round of France’s regional elections, Marine Le Pen, the leader of the French National Front (NF), who is also standing for election in the Nord-Pas-de-Calais region, has been caught up in another round of fraud allegations. According to sources contacted by Les Échos, Martin Schulz, the president of the European Parliament, has invited Marine Le Pen to explain suspicions of vote-rigging. “People have voted in place of Marine Le Pen, and this is against the rules. These are troubling facts that must be cleared up,” a parliamentary source told the paper. 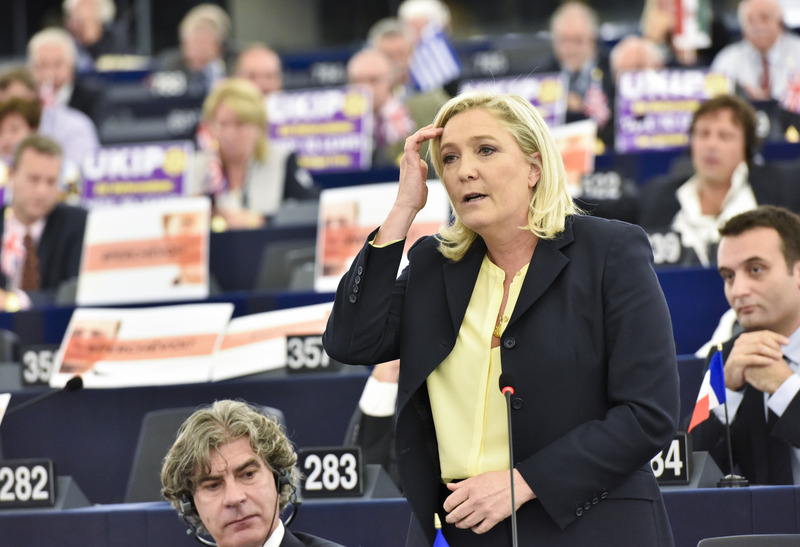 Marine Le Pen had left early from a voting session at the European Parliament in Strasbourg on 28 October. But after her departure, her votes continued to be registered. According to the electronic voting system, Le Pen’s card was used at least eight times after she had left the Parliament. MEPs who were present have reported that a neighbour of the NF leader in the hemicycle had voted for her. The MEP in question is Marcel de Graaff, a Dutch politician and a member of the extreme right Europe of Nations and Freedom group, formed under the leadership of the National Front in June this year. De Graaff acknowledged his actions and was placed under disciplinary sanctions. Nicolas Bay, another NF MEP facing accusations of voting fraud from a number of MEPs, continues to deny any involvement. Le Pen also denies having given instructions to her Dutch political partner to vote on her behalf. MEPs’ pay depends partly on how often they attend voting sessions. Under this system, they are rewarded for attending the sessions, even if they participate little in the rest of the Parliament’s work. “We expect explanations on whether or not instructions were given,” the parliamentary source added. So the parliament now has to build a secured non-fraudable vote system ! ALL Those MOPS who REALLY have abused must be kicked out without exceptions ! You know Meps earn money in which they are committing to work seriously and not to win “scores” ! Those MEPS from left to right owns 2 wages national and European with side-prime ! Why two mandates ? For What ? New disciplinezed regulations with control are needed as well a new vote system! More evidence of the level of incompetence applied to the operation of the EU. How many more instances occur which we know nothing of, because of the “impressive” level of visibility and openness of this organisation? Time we left and took our money with us.